It is clear that Ubisoft’s Far Cry 5 has been one of the biggest games at this year’s E3 show in Los Angeles, with crowds eager to see more of Ubisoft’s upcoming first-person shooter which will be hitting shelves in February next year. And like the earlier Far Cry games, this promises to be a big open-world game with plenty of enemy outposts to take over, optional activities to pursue and likely an engaging main story to follow. Also, a recent gameplay video showcasing the game’s guns for hire shows Ubisoft has taken the same goofy approach to Far Cry’s gameplay as it did with the previous games, which is a good thing too. There’s one aspect of the game that might not be as great in Far Cry 5 as it was in earlier instalments, though, and that’s the game’s cast of characters. Actually, the Far Cry 5 reveal videos shown last May showed off a trio of characters who will be central to the game’s story: bartender Mary May, pilot Nick Rye and priest Jerome Jeffries. These are the typical lot we’ve seen in the Far Cry games to date and did not inspire much excitement truth be told. But the key here is that this Far Cry game might end up being a slight disappointment if it fails to come up with a credible and charismatic villain like earlier Far Cry games had. And what we’ve seen of Joseph Seed so far, the leader of the cult which has taken over the US state of Montana, isn’t so encouraging… He’s seen shirtless singing “Amazing Grace” in a church in one of the game’s E3 trailers, which was great overall, even if the villain did not come across as being particularly interesting or charismatic. 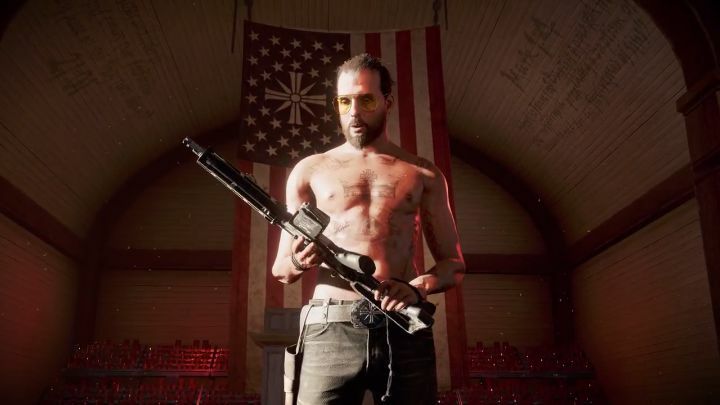 Because the truth is that Far Cry 5’s Joseph Seed has not been the central figure of Ubisoft’s Far Cry 5 reveal or what was shown at E3, with Ubisoft instead focusing more on the game’s Montana setting and gameplay. So it would be a disappointment if Far Cry 5 lacked a great antagonist this time around, especially taking into account how great the villains were in the earlier games. Because who can forget past Far Cry villains like Far Cry 4’s Pagan Min and Vaas Montenegro of Far Cry 3? Actually, Pagan Min was the highlight of Ubisoft’s E3 presentation back in 2014, and the protagonist of a great trailer which immediately made it clear that taking out the narcissistic dictator in a pink suit was going to be one hell of an experience in Far Cry 4. So was the case back in 2012, when Ubisoft began showing off its then unreleased shooter Far Cry 3, which in the end turned out to be the best Far Cry game to date. This was in no small part due to the game’s bad guy Vaas Montenegro, a crazy and psychotic villain who has become one of the best video game characters of all time. 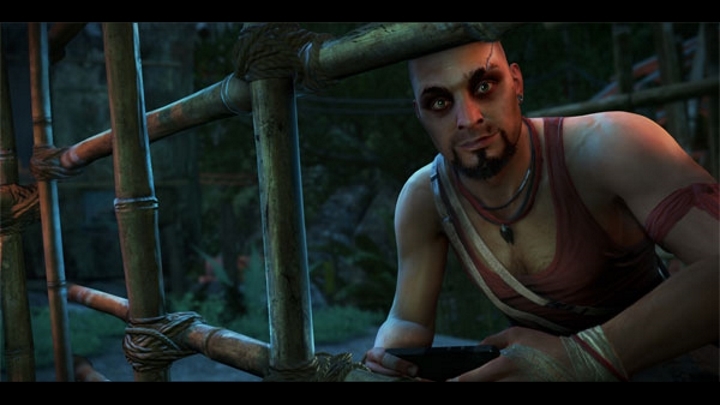 Will Far Cry 5’s cult leader be a match for Far Cry 3’s Vaas (pictured)? It’s slightly worrying then, that Ubisoft has not shown us more of Far Cry 5’s Joseph Seed, suggesting he might just be a cookie-cutter villain and not as memorable as the great antagonists we had to fight in the earlier games. And it would truly be sad if Far Cry 5’s cult leader ended up being less interesting than the not so great villains of the series like Udam of Far Cry Primal or the Jackal of Far Cry 2, in a franchise that’s renowned for its great characters overall. There’s hope yet, though, as leaked information which emerged before the game’s May reveal suggests that Joseph Seed’s second in command (a Tom Cruise-like character with rumoured ties to the adult film industry) might turn out to be a great character, although we’ll have to wait until a future preview to find out whether this character actually exists and whether he will be as great an antagonist as we’ve seen in other Far Cry games before. There’s another thing too which suggests that this next Far Cry instalment could be focusing more on the gameplay and setting than the characters, and this has to do with your character in the game. Because while in earlier Far Cry games you played a predefined protagonist, here it will be possible to customise the player character. You will be able to choose gender and likely his or her appearance too. But even though being able to personalize the player character in Far Cry 5 will be a boon for many, the story might lose some impact as a result of playing a more generic protagonist this time around. This is because although past Far Cry protagonists like Jason Brody, Jack Carver of the original Far Cry or Takkar of Far Cry Primal were not everyone’s cup of tea, they still had tons of personality. So if the next Far Cry ends up saddled with both a weak player character and a forgettable villain, it might not end up being the great entry in the series we were hoping for. But still, both the villains and the hero (or heroine) might turn out to be great in this upcoming game. So hopefully we’ll be seeing more of Far Cry 5 cast in trailers and preview videos pretty soon, as it would no doubt be a great thing if in the end this turned out to be another stunning entry in the long-running shooter series when it ships next February. Note: Far Cry will be released on February 27, 2017. Available on PS4, Xbox One and PC.